Rainy Labor Day Weekend; the Queen Elizabeth Tunnel works! We decided to give the crew and ourselves a long weekend. Most of the year we are fortunate if we take Sunday off. We finally learned that we need to schedule more down time. This long weekend has been particularly relaxing with giant thunderstorms passing through. 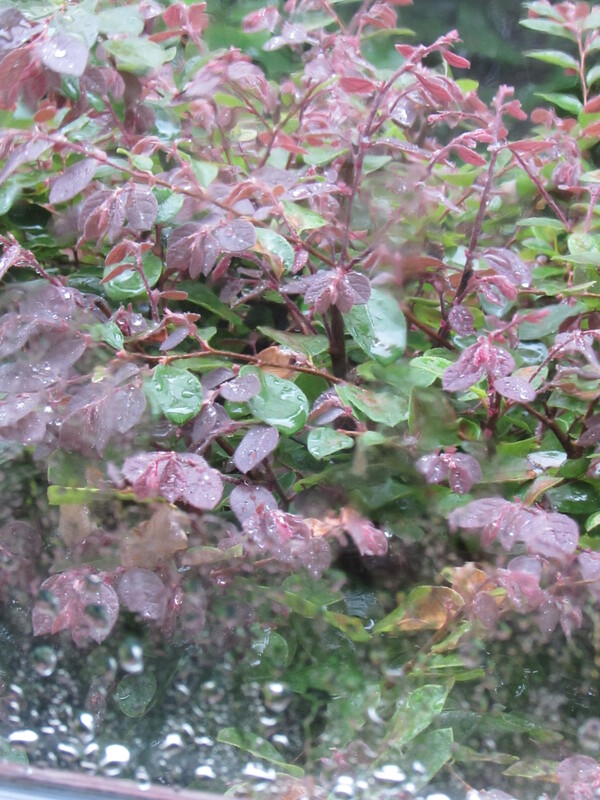 I love rain and I am super happy when the plants are watered with rain water. I have to admit I enjoy it more when I know it is not a work day or it is a late afternoon thunder shower after the crew has gone home. 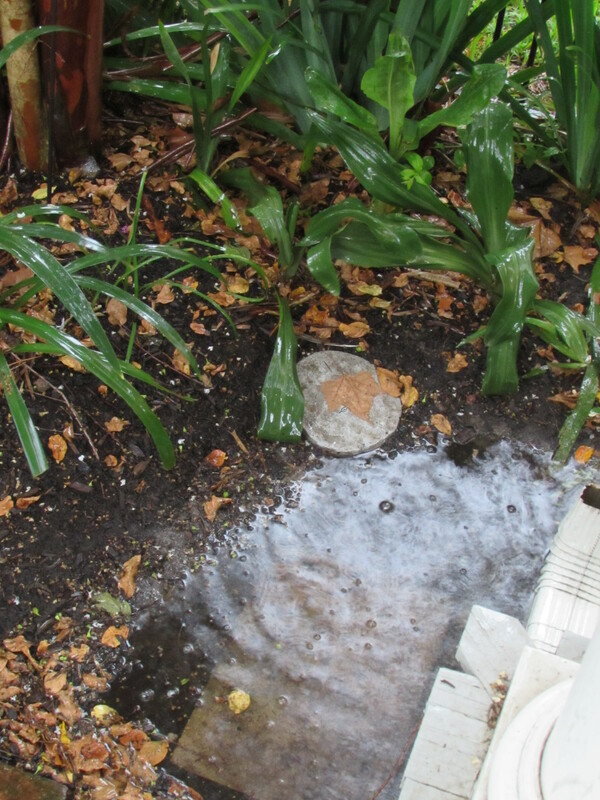 We have lost over a month and a half of working days this year because of all our rain! That said I am so happy the drought is over in Houston but it is an adjustment working around our normal rainy weather after 7 years of drought. 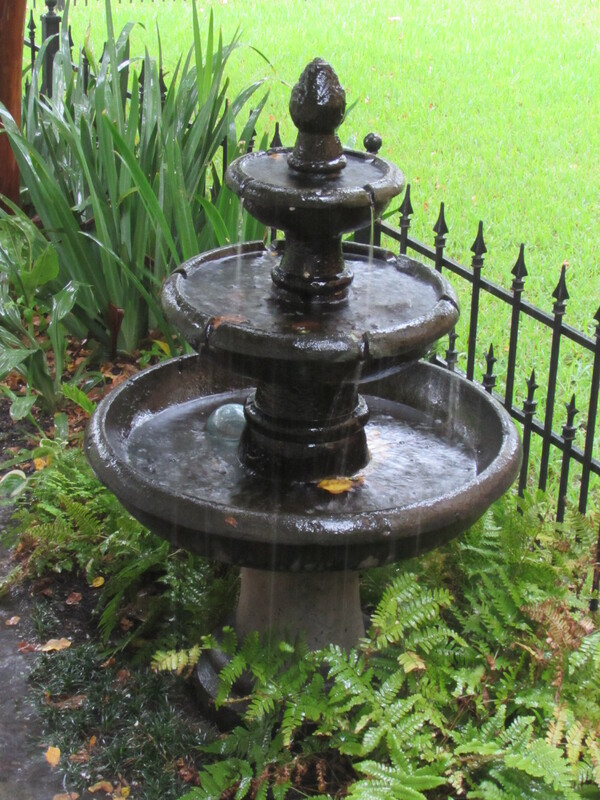 I checked the rain total on the Harris County Flood Warning System site and in the last 365 days here in the Heights we are at 49 inches : ) Our normal annual rainfall is 52. 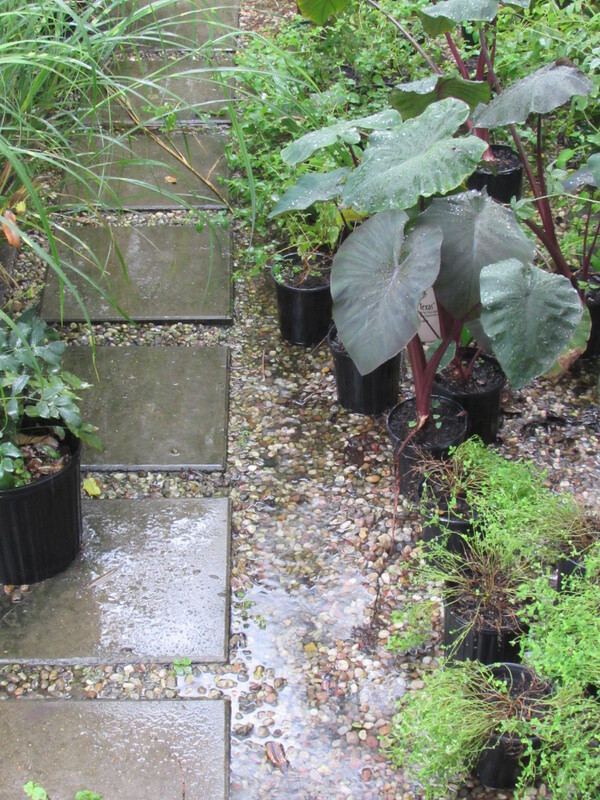 Just for fun instead of sharing pictures of our recent project I am sharing some pictures of rain at Ravenscourt Gardens! 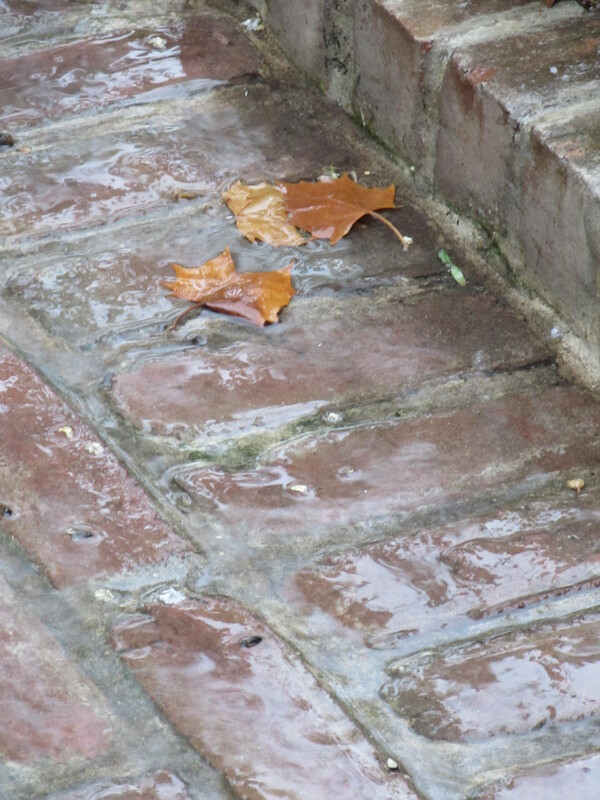 Happy Rainy Labor Day! Inside looking out from the window next to my computer! 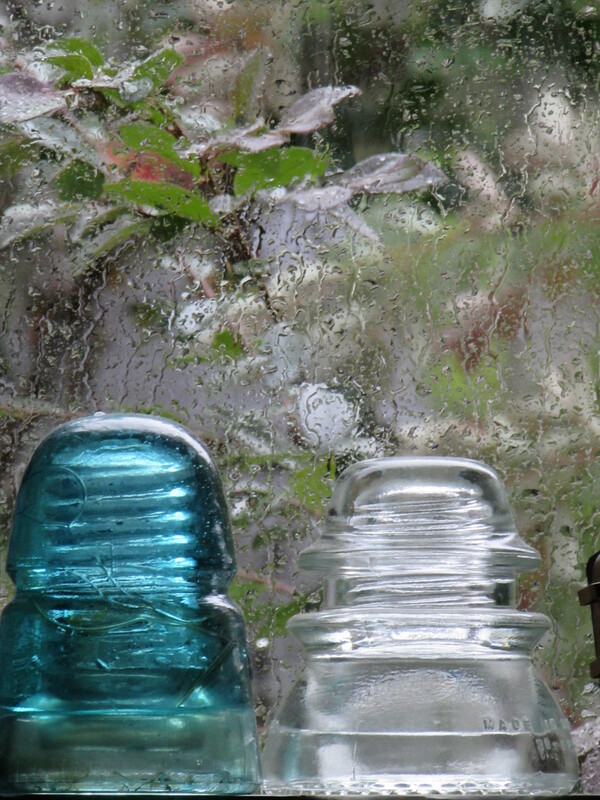 I love the way the rain slides down my 100 year old windows. The citrus trees I am trying to make into a hedge. 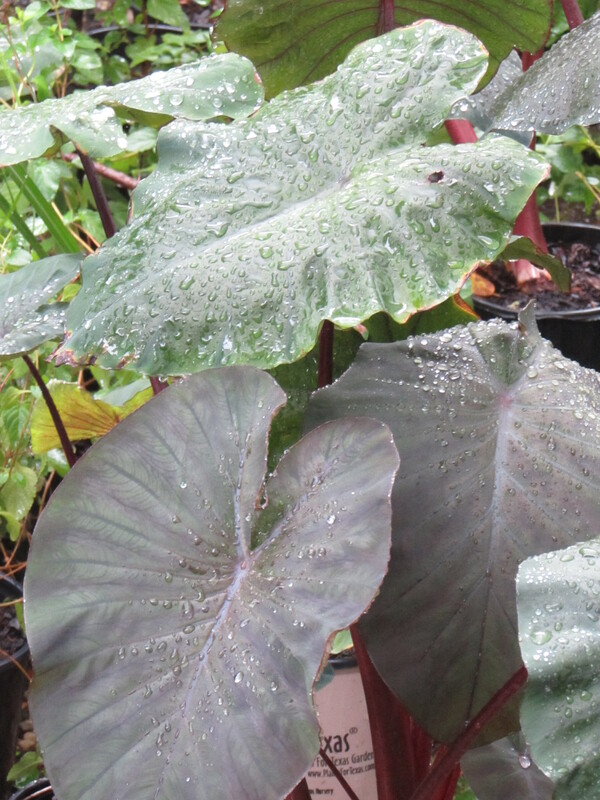 Here are some elephant ears Colocasia esculenta ‘Maui Magic’ waiting to go to their new home. And here is the Queen Elizabeth Tunnel. 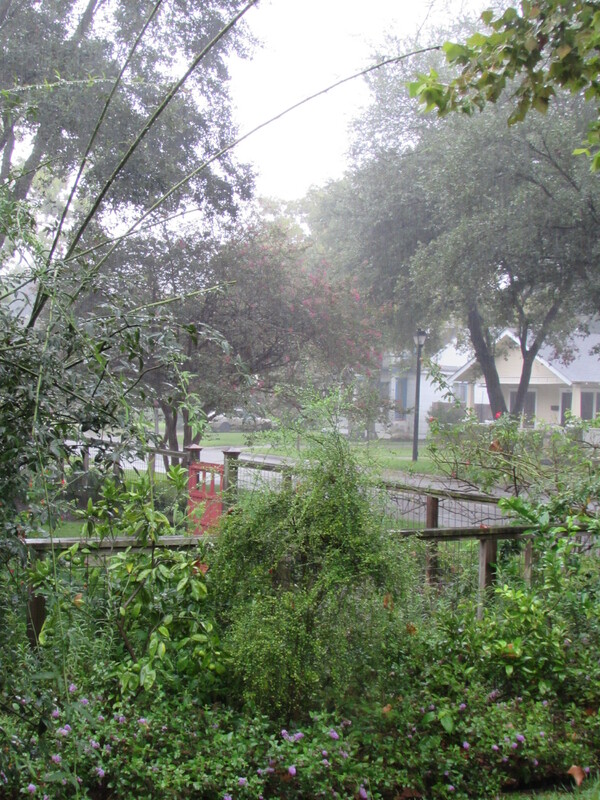 Every time it rained the Purple Montrose Vitex branches flopped over heavy with wet leaves and made it impossible to get down the path from our little cottage above the garage. 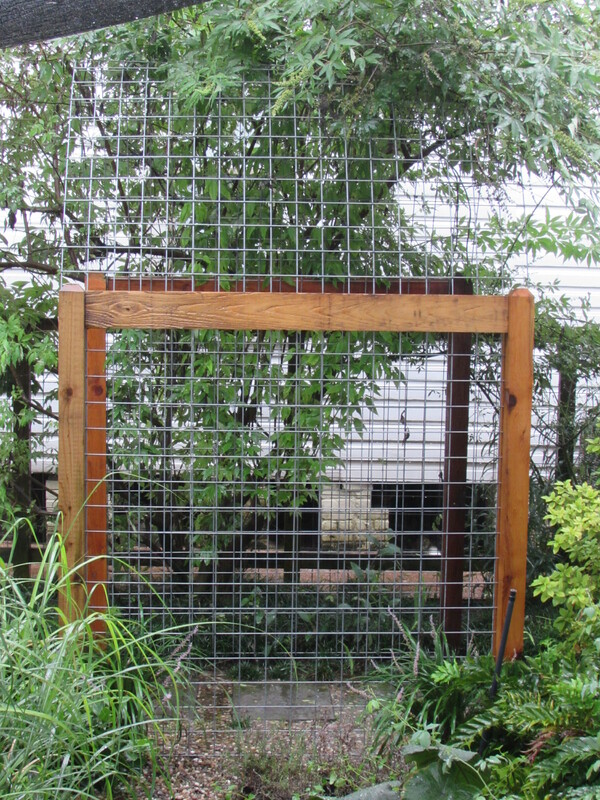 We had some spare cedar posts and welded wire panel so I played with a way to create a support for the Vitex. It has become a fun feature and I am thinking of growing something on this side to make it a green tunnel! I like the welded wire you use in your projects. I’m going to have to keep my eyes open for it up North here and see if I can find some of my own! Bittster, here is a link to the company we get our fence panels from http://afence.com/store/-6GA-4x4x4-x20-WRPNL.html it is also sold at farm supply companies. Thought it might help you know what you are looking for. 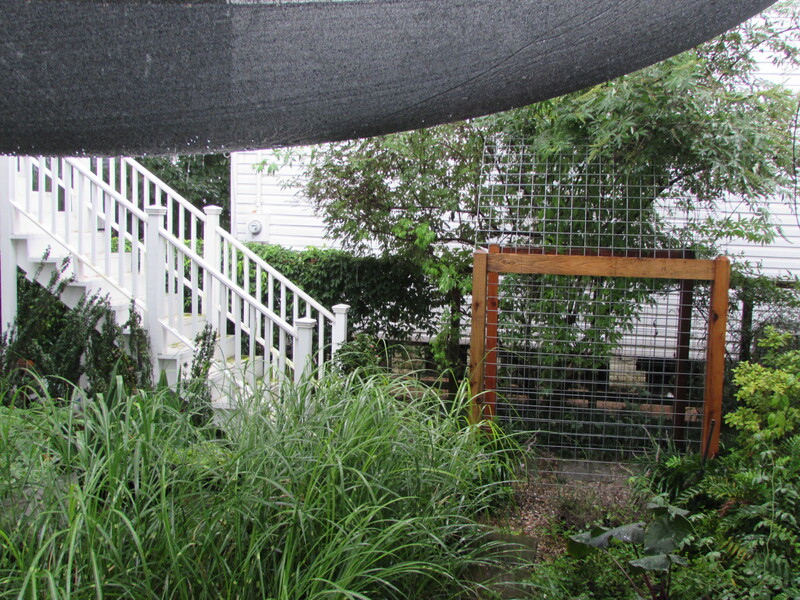 We also use it to create a trellis for vines by attaching it to a wooden fence. Thanks Laurin! Those specs are perfect for finding it around here (I hope). I’d love to copy some of your fencing (although the gate would be pushing it!) and a nice trellis out of it would be perfect. 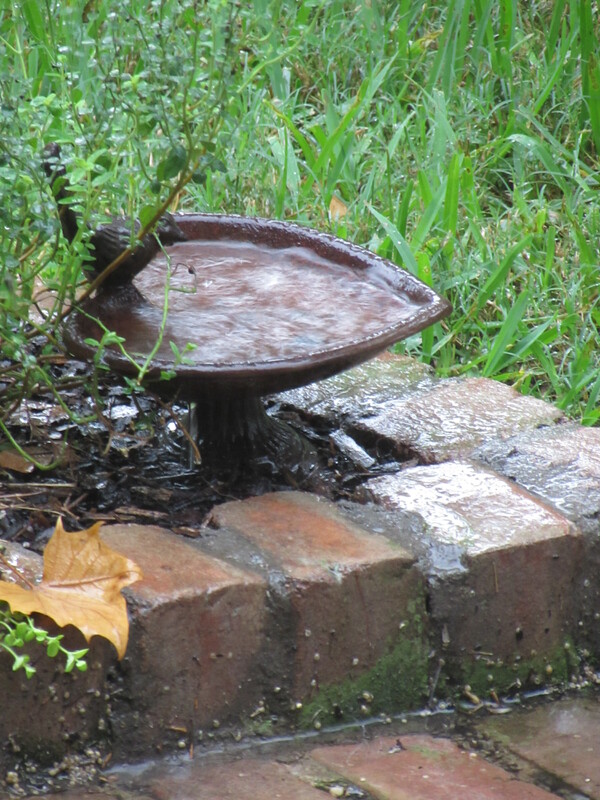 The FWS gauge nearest me has recorded exactly 0.6 inches of rain since August 3rd. 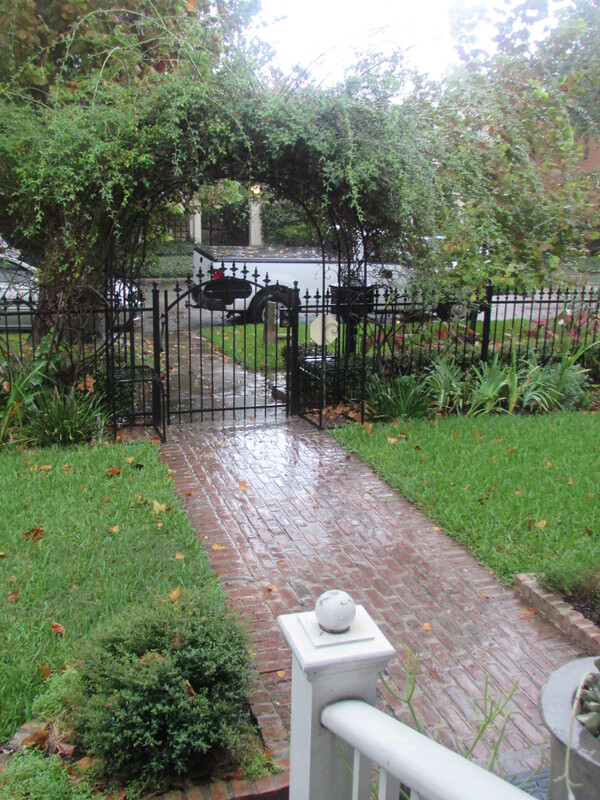 The rain this weekend bypassed my corner of Katy. Again. Cindy I didn’t realize Katy was missing out on the rain. We do have so many little micro climates : ( The Heights is very lush this summer. I haven’t water the lawn once. 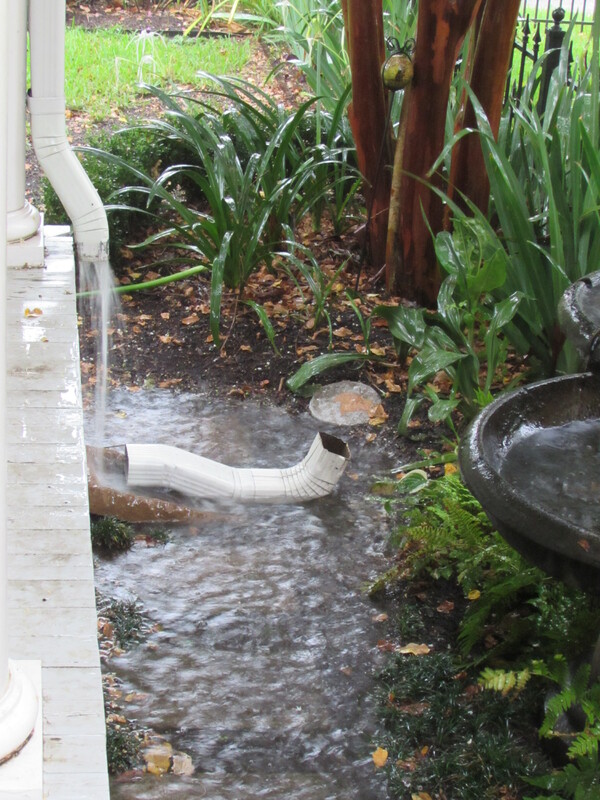 I see it rained so hard it knocked off the end of your gutter downspout! 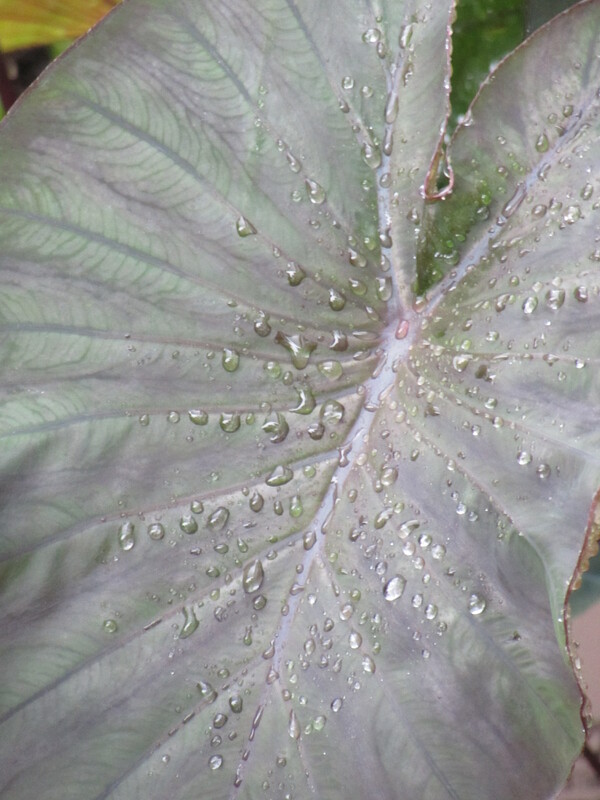 I know rainwater is good for plants but a friend told me about learning in a gardening class that it is even better when there is lightning, something about it increasing the ions or something. 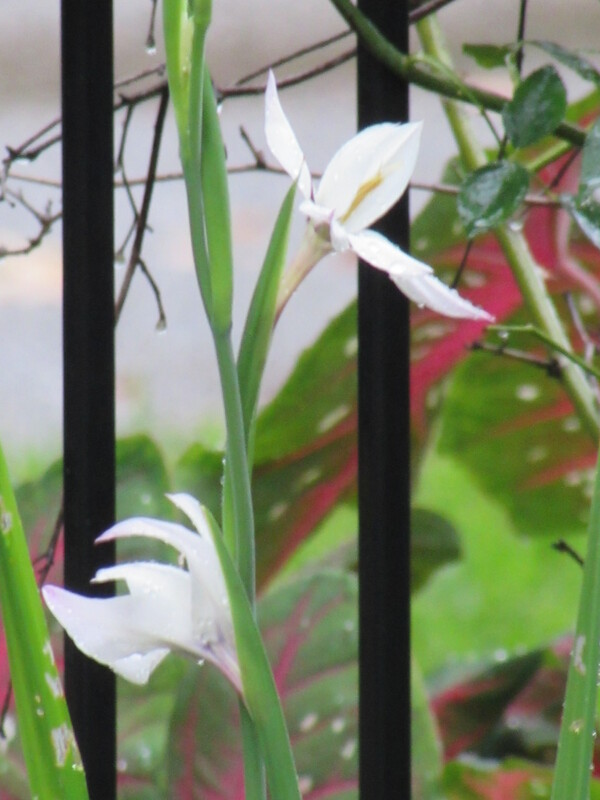 I love the pictures of the rain in your garden. The tunnel has turned out to be pretty cool. I should have put a photograph of the birds nest the doves made right after we installed it.